Corrie viewers react to a dramatic show tonight. 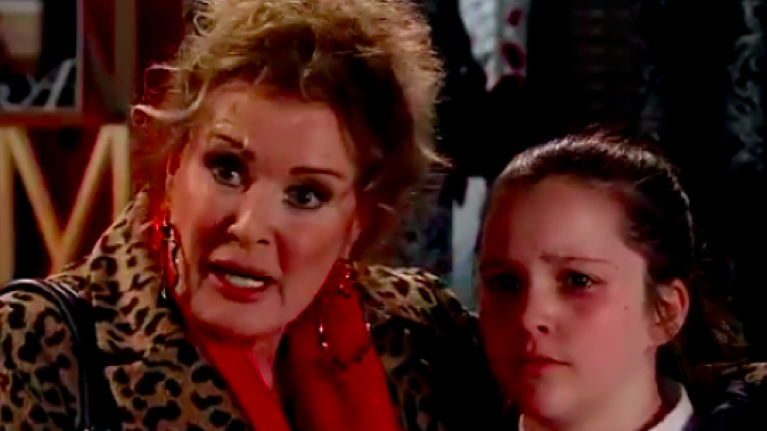 If you're a Coronation Street fan, you might know that tonight's episode featured the Barlow family, with 14-year-old Amy telling her parents that she was pregnant. However, it turns out they already knew and Steve wastes no time in getting to the point, holding up a pregnancy test and waving it in Amy's face. Needless to say, Corrie viewers weren't too impressed with his lack of sensitivity and took to social media to share their thoughts on Steve's behaviour. People also pointed out that the priority should be Amy and not finding out who the father is, with this question proving Steve's main focus at the moment. In fact, fans of the show were both surprised and delighted to see that Tracy was the rational parent on this occasion. This storyline develops further this week when the family come together to try and help Amy make a decision. Initially, she considers a termination but then Steve, having calmed down somewhat, raises the possibility of he and Tracy raising the baby as their own. We'll just have to wait and see what the outcome of this particular chat is but needless to say, it's going to be a very dramatic week of Coronation Street.